IPS Handbook - The wait is over & we've made a video to shout about it! 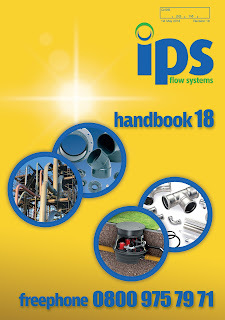 Well, it's here - the latest IPS Handbook (Edition 18) containing more than 500 pages and featuring many new, innovative, and exclusive ranges from our global manufacturing partners will be dropping on desks around the UK from next week. AGRU PE100-RC (Crack Resistant) Polyethylene material now readily available in Pipes, Fittings, and Semi-Finished Products. Kessel Hybrid Drainage Systems, Lifting & Pumping Stations, Grease & Oil Separators together with VIPSeal™ Flexible Couplings and Buffalo Non-Return Valve. RM Press-Fit Metallic Piping Systems in Stainless Steel, Carbon Steel, and Copper with the Stainless Steel system now available up to 6” (168.3mm) diameter. SAFI 2-Piece Flanged Ball Valves in GRP, PVDF, and Anti-Static PP. Praher WRAS Approved M1 Ball Valve in PVC, PP, and PVDF as well as the new Lugged Butterfly Valve in PVC with PVC or PP Disc. Technoshield® Flange Guards in PTFE, Polyethylene, and Polypropylene (Page 252). As well as all the new products we still have our traditional range of thermoplastic piping systems from world leading manufacturing companies such as Spears Manufacturing Company, ASV Stubbe, Durapipe, Van de Lande, Serto, and Egli Fischer to name but a few. Can you afford to miss out!